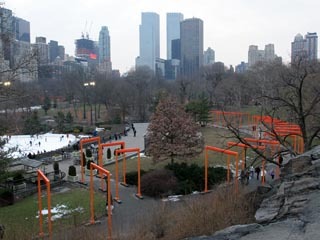 The view of Christo's Gates from Belvedere Castle. 13 February 2005. 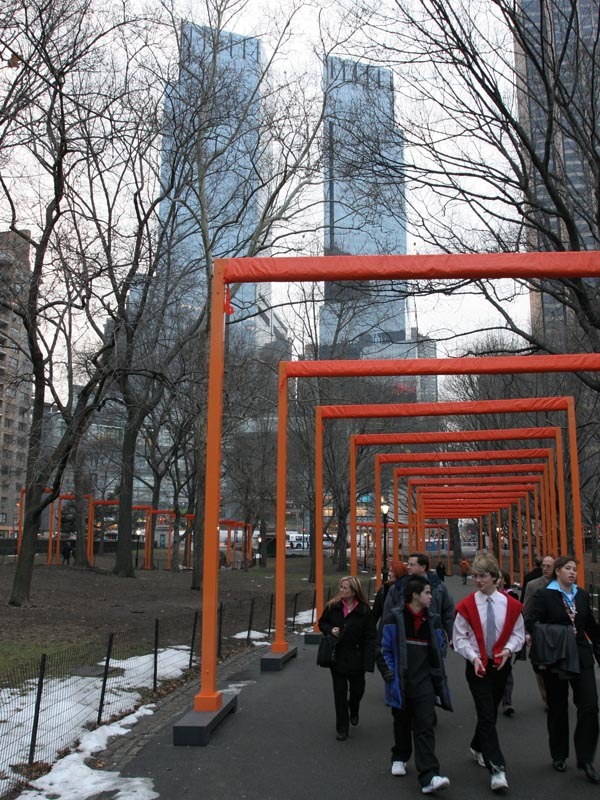 The Gates is the largest artwork since the Sphinx. 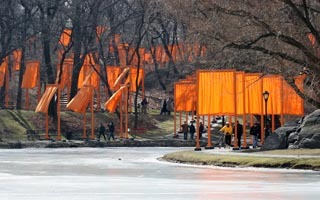 The artists Christo and Jeanne-Claude's installation of 7,500 gates in Central Park has already begun. 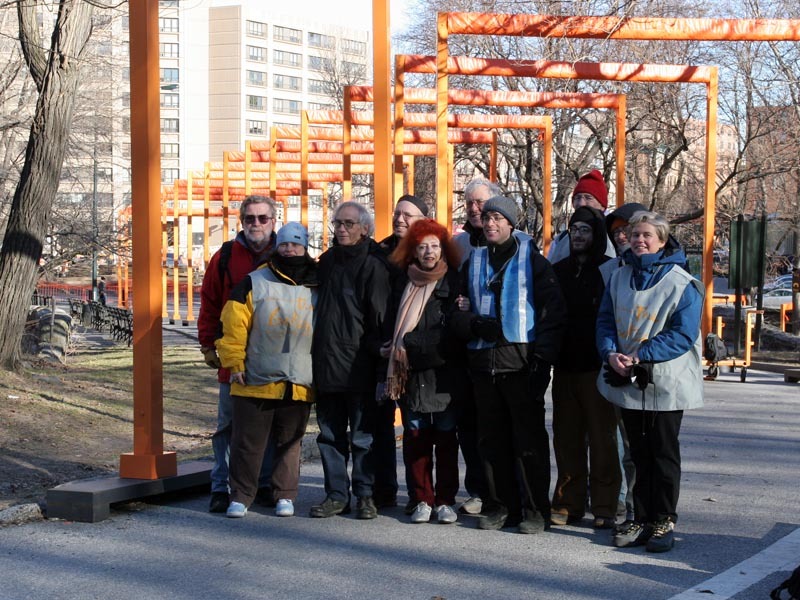 Installation of the bases started in January 2005 and was completed on February 6th. See the pictures. Installation of the poles started on February 7th. Pictures from February 8th. Pictures from February 9th. Christo and Jeanne-Claude being filmed and interviewed. 19 February 2005. 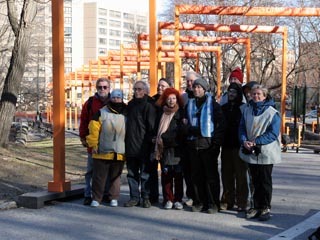 Christo and Jeanne-Claude with the Gates installation crew. 11 February 2005. 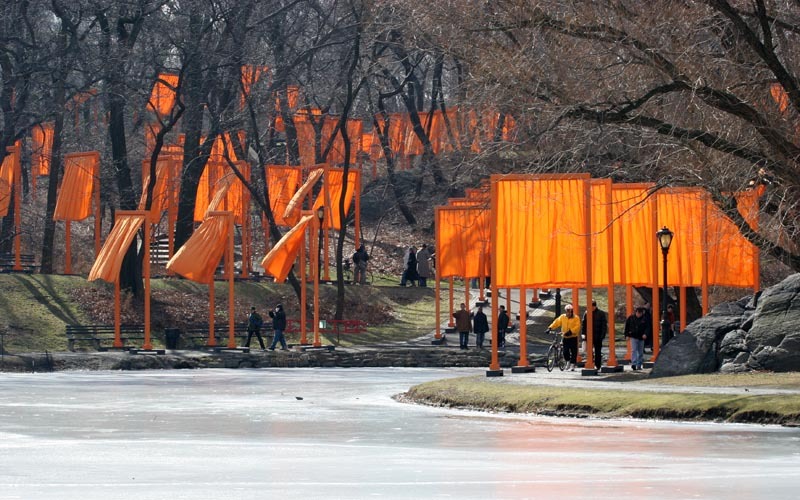 Christo's Gates on the shore of the Harlem Meer. 12 February 2005. 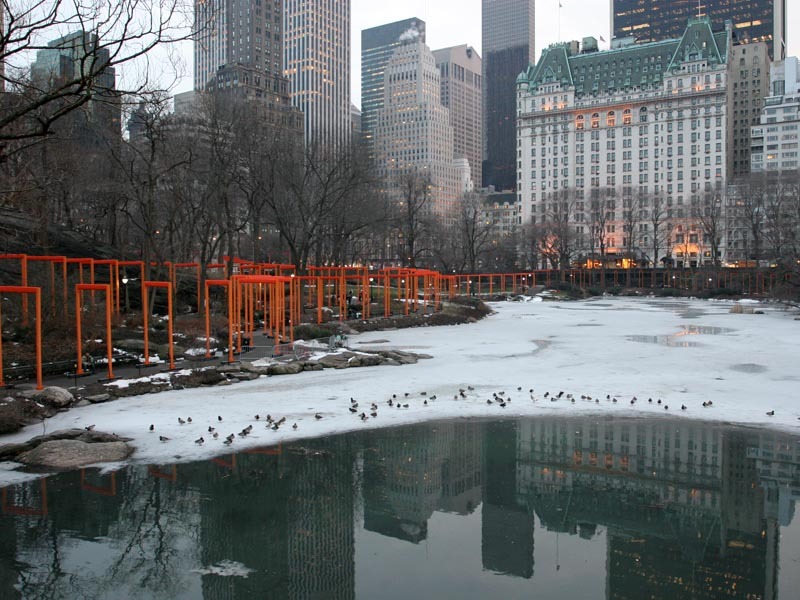 Christo's Gates around the Central Park's Pond, with Plaza Hotel. 9 February 2005. 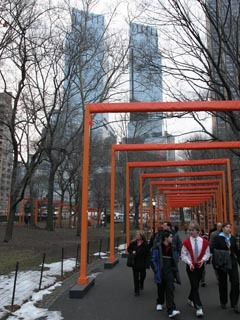 Christo's Gates near the Central Park's Merchants' Gates, with Time Warner Center. 9 February 2005.